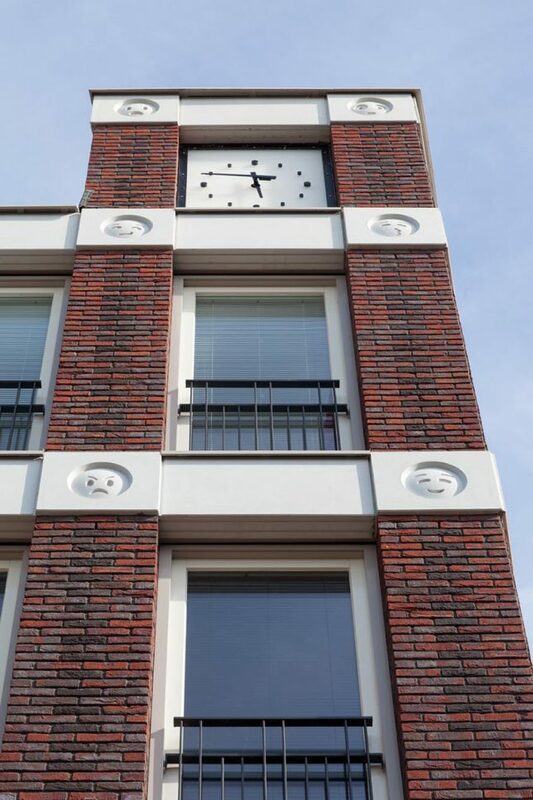 Instead of gargoyles, grotesques or ornate decorative details, this somewhat silly facade expresses an array of emotions through circular icons familiar to anyone with a smartphone or social media account. 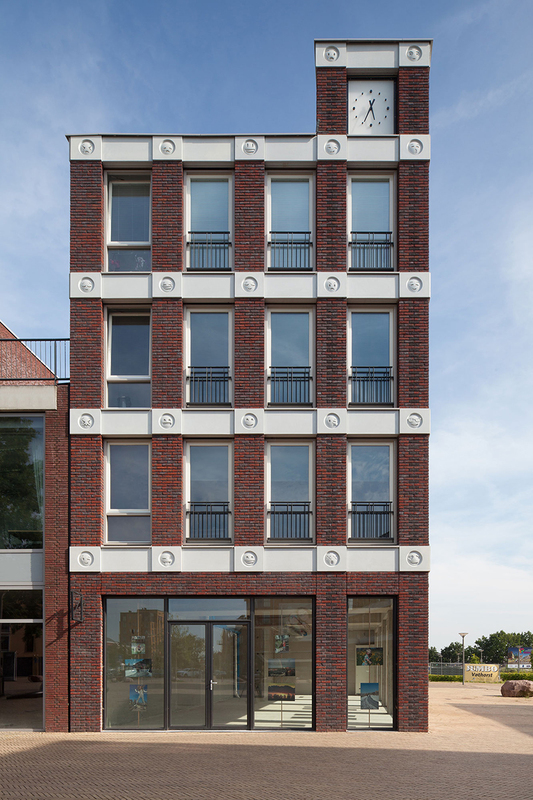 Located in suburban Vathorst near Amersfoort, this design by Attika Architekten (images by Bart van Hoek) looks quite conventional at a glance. At each level, horizontal rows of light concrete break up stacks of dark brick and divide the tops and bottoms of windows. Upon closer inspection, however, the mixed-use project has a detail that varies from one location to the next — round faces featuring a broad range of emotional states and attitudes. 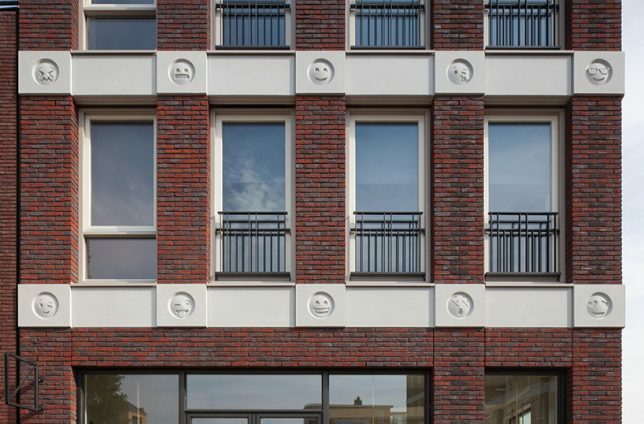 “In classical architecture they used heads of the king or whatever, and they put that on the façade,” explains the architect. “So we were thinking, what can we use as an ornament so when you look at this building in 10 or 20 years you can say ‘hey this is from that year!’.” If nothing else, they seem to have hit that target. Formally speaking, this decor adds a layer of interstitial detail often found in early Modern architecture urban architecture (derived historically from Gothic influences). 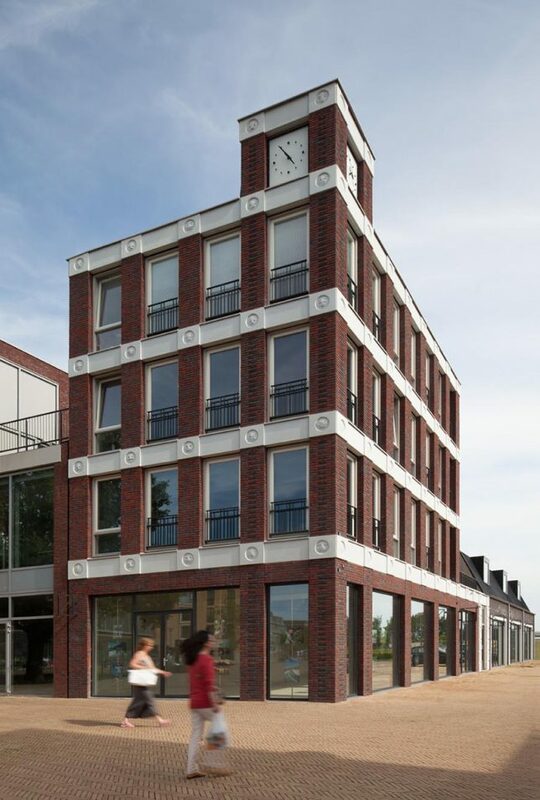 It adds an element that spans the fine grain of the brick columns and otherwise featureless and monolithic concrete rows. Whether or not these emoticons will look funny, cool, creative, unique, dated or all of the above in a few decades remains to be seen. Still, it is certainly is a fun way to think about decor in the post-Postmodern world where rote historicism has become a thing of the past.